The Jonas Brothers are set to reunite. The 'When You Look Me In The Eyes' hitmakers – which includes siblings Kevin, Joe and Nick – are reportedly working on a new documentary and plan to release new music to accompany their show. A source told The Sun newspaper: "This is going to be one of the biggest music reunions in years. It's no secret that things weren't great by the end of the Jonas Brothers, but blood is thicker than water and they've healed their rift in the years since the split. After enjoying solo music success and taking time to work on passion projects, they feel that now is the right time to get back together." 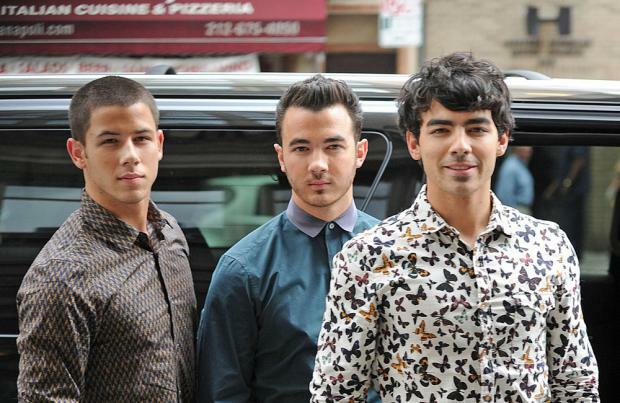 Kevin, Joe and Nick flew into London last week to discuss their plans for their comeback and original music, which would be the first original release since 2009's 'Lines, Vines and Trying Times'. The 'Cake By The Ocean' singer shared: "Seeing where things will lead us. It's easy to say we're done and that we're never doing it again, but then we both look at each other and go, 'We obviously get along.' And who knows – years from now we could be like, 'All right, let's make a record.' It could easily happen."